Super Skeeball Shooter is a hands-free, physical computing game powered by the Microsoft Kinect and custom, Arduino driven electronics. 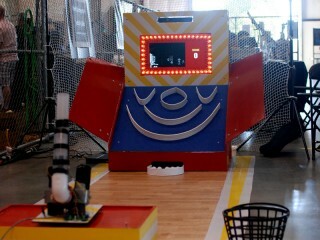 Players wave their hand to aim the horizontal and vertical positioning of a ping pong ball launching, turret-mounted canon. 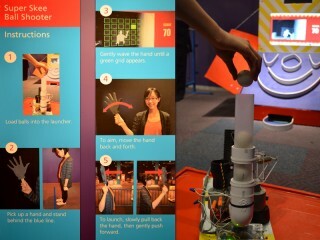 Thrusting the hand forward launches a ball through the air at a distant target. 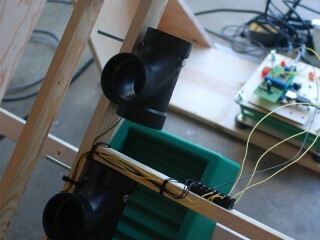 Successfully aimed ping pong balls drop into holes of varying difficulty. 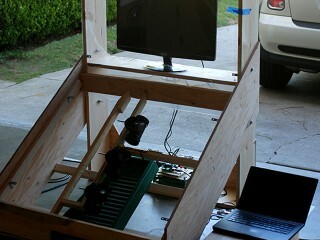 Scores are displayed on a monitor which players use to dial in their accuracy using the real-time positioning system. 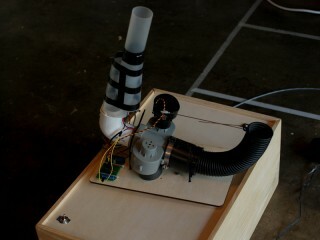 Super Skeeball Shooter was originally designed and built by invitation for the 2012 O’Reilly Where Conference in San Francisco. 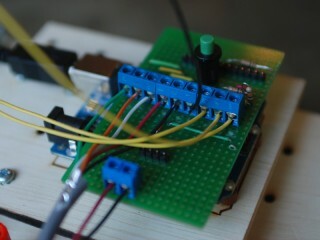 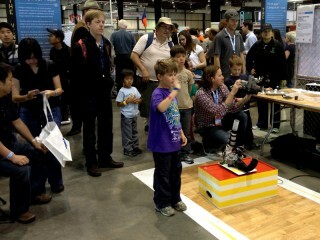 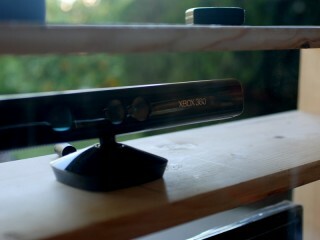 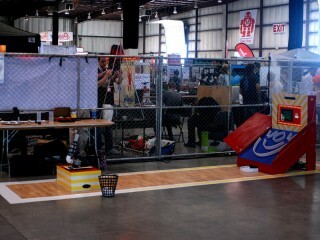 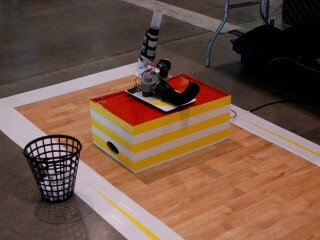 The game was subsequently exhibited at the 2012 Bay Area Maker Faire, winning two Editor’s Choice Blue Ribbons. 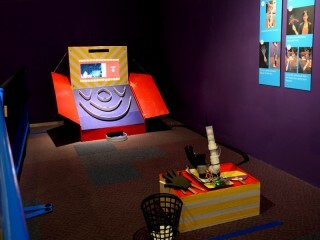 For the following summer, Super Skeeball Shooter was on display at The Tech Museum of San Jose.